The IEEE (Institute of Electrical and Electronics Engineers) is the world’s largest technical professional organization, with hundreds of thousands of members. As a US-based standard-setting organization (SSO), the IEEE has successfully standardized thousands of fundamental technologies, including critical communications standards such as Wi-Fi and Ethernet. In 2015, the IEEE updated its policy for patent licensing, which address how participants at the IEEE commit to license their “standard essential patents” (SEPs) covering IEEE standards on “reasonable and non-discriminatory” (RAND) terms. In March of 2017, in response to various claims that the IEEE’s standardization work had been adversely affected by the policy update, IPlytics undertook a careful empirical analysis of the IEEE’s work since the update (IEEE 2017 report). We concluded that, by every reasonable metric, IEEE’s standardization work and success remained as strong, or stronger, than it had ever been. Since then, additional commentary has circulated addressing the IEEE’s activities. We take this opportunity to update our prior analysis, and to evaluate various assertions regarding the IEEE’s status. While some of the commentary has been critical, other information and reports based on IEEE’s relevant data suggest that IEEE has experienced ongoing successes in its technical development and standardization activities. With this 2018 report, we seek to address, among other things, whether the rate of innovation and standards development at IEEE has been affected, positively or negatively, subsequent to the IEEE’s patent policy changes. IEEE’s membership has grown considerably since 2015, and it remains the world’s largest standardization organization. The handful of companies that have issued negative declarations are not now, and never have been, among the more active contributors to 802.11; the data indicates that they are each relatively minor players in development of the standard, and some are not contributors at all. 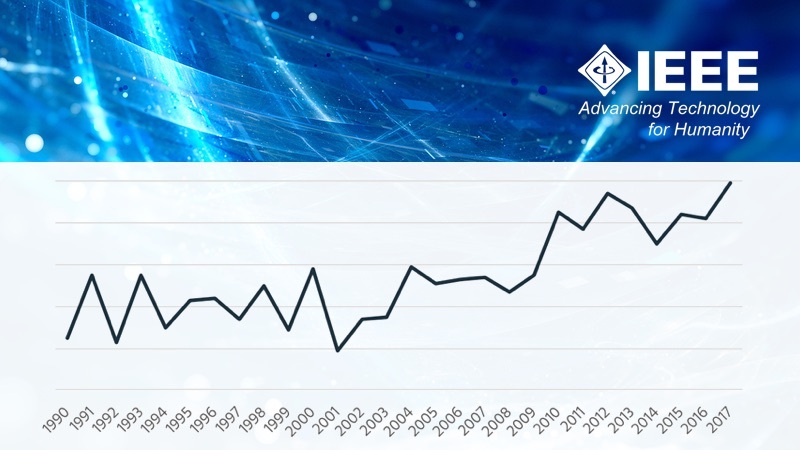 The updated data through the end of 2017 verifies our prior conclusions that contributions to IEEE standards and technical work within IEEE working groups have only increased since the updated patent policy was approved.